Kreativne iskrice: A Blog Named Hero 2. A Blog Named Hero 2. 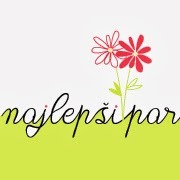 Tole je še ena voščilnica narejena z drugim motiv is seta Floral Blossoms, ki jo prijavljam na izziv pri A Blog Named Hero. Motiv sem najprej odtisnila z zeleno barvo, nato pa čez zalepila še izrezane vrtnice v oranžni in rumeni barvi. Tina! Can I just say LOVELY!?! It's so so lovely! I really adore how you kept the background very soft and muted! Congratulations, on your beautiful card being featured on A Blog Named Hero! This is simply gorgeous, my friend! Congratulations on being named a Heroine! This flower is totally gorgeous! Hi Tina! Congrats on being chosen as a Heroine on ABNH! Such a gorgeous card! Congrats on being named a Heroine! Gorgeous card and beautiful colors. Oh, I just love how you made this stamp take center stage so beautifully! The colors and composition of your card are lovely!